If you have been following me, you will know I am cat mad and my two cats are my world. 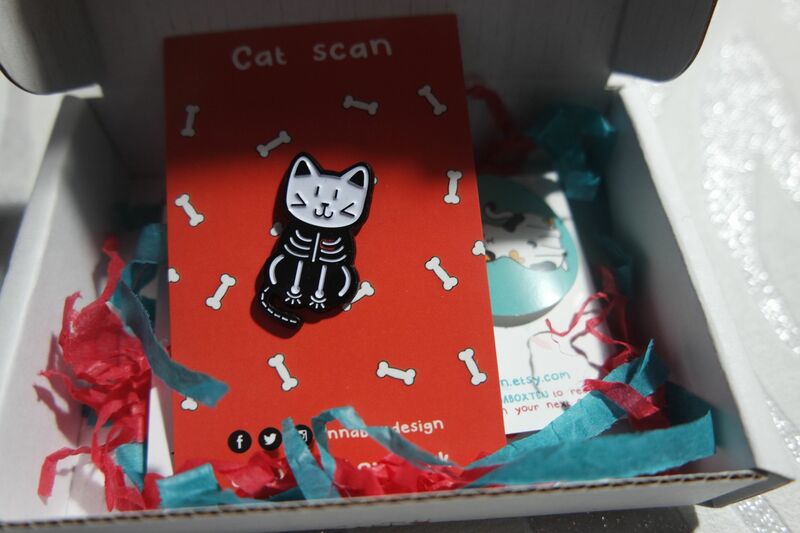 I came across Inna box and they have so many cute designs including this pretty awesome cat scan pin. It arrived beautifully packaged and with a sticker that is pretty cool too. 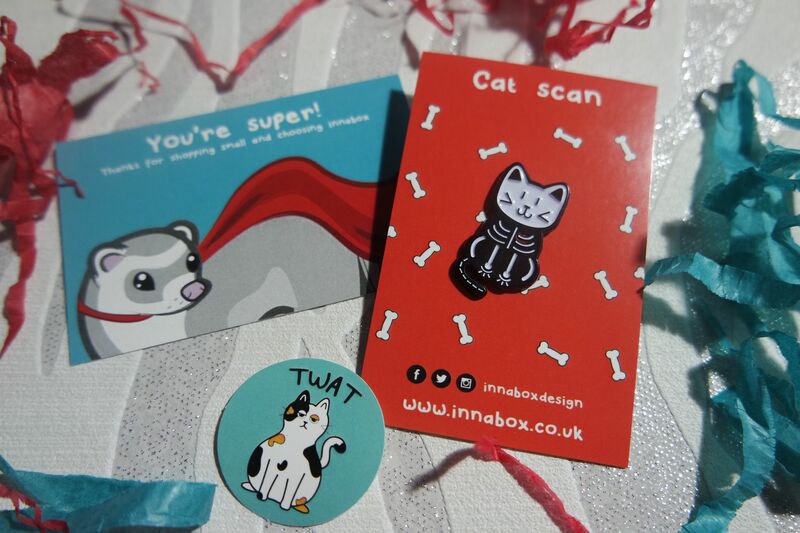 Inna box sell pins, patches, cards, earrings and mugs. All with great designs, I just love the guinea pig mug they have too. I think the cat scan pin is so cute and I can’t decide if I want to add it to a jacket or a bag! This is so cute! The cat skin pin is the best! Cat scan <3 so cute! Cute pins! What a sweet box. That is so cute! I love how creative these boxes are!